In an oral history detailing SLC Punk!’s production, Billboard’s Tatiana Tenreyro spoke to writer/director James Merendino, music supervisor Melanie Miller, and members of the cast about how this soundtrack came together. As the interview notes, the movie didn’t have an original score and “instead features over 30 songs” from a wide array of artists. For a low-budget movie, getting rights to the music was complicated. 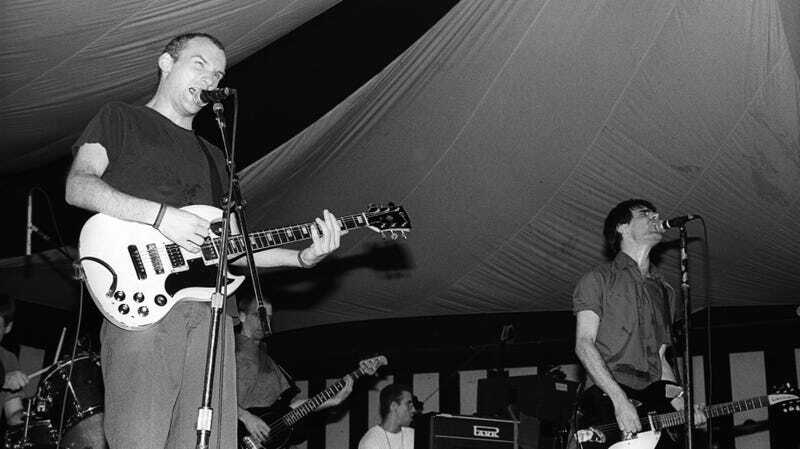 For example, Minor Threat and Fugazi’s Ian MacKaye was notoriously stingy about allowing his music in films. “[A]pparently he never allowed any of his songs to be in any movies because he didn’t like the way people portrayed punks,” Merendino said. The rest of the piece is filled with good stuff about SLC Punk!’s creation, from Merendino’s reveal of the real people who inspired his characters to Matthew Lillard’s antagonistic audition process to the truly wild plot description of a proposed SLC Punk! 3. What’s most important, though, is the knowledge that young indie filmmakers now know that they could conceivably get the rights to “Screaming At A Wall” if they manage the daunting task of writing a script that Ian MacKaye likes. Go forth, artists. Try your damnedest.